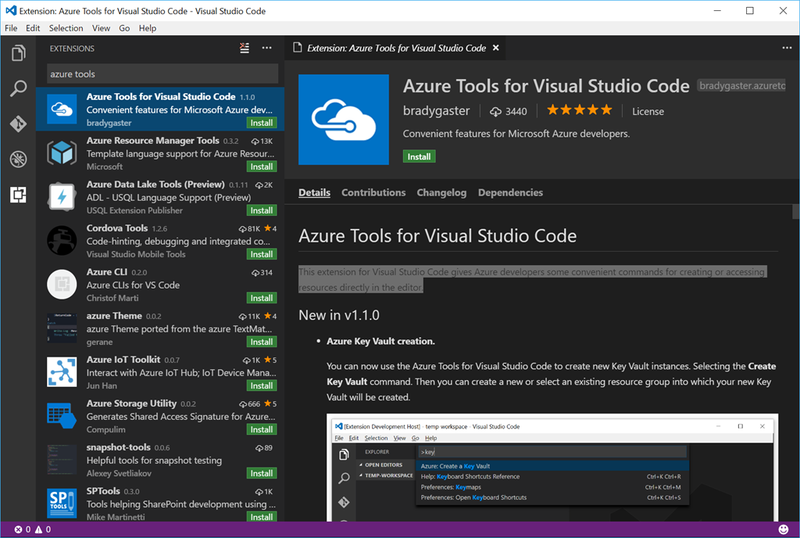 Came across an awesome Visual Studio Code extension called “Azure Tools for Visual Studio Code” by Brady Gaster. Check it out! This extension for Visual Studio Code gives Azure developers some convenient commands for creating or accessing resources directly in the editor. Each of these commands is visible directly from commands visible in the command palette. Azure Tools Extension for Visual Studio Code can be installed from the built-in extension tab in Visual Studio Code. Just search for “Azure Tools” and it will be the first result. Click on the extension and then click on the green “Install” button. This extension is available as an open-source project and can be found in the GitHub repository https://github.com/bradygaster/azure-tools-vscode. 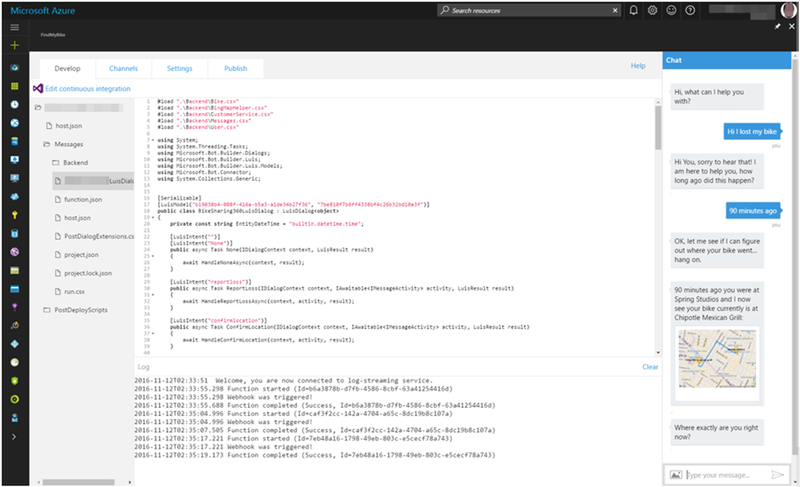 Last week at Microsoft’s Developer Connect(); // 2016 event, a new public cloud bot service powered by Microsoft Bot Framework is now available on Azure called the Azure Bot Service. Now more than ever it’s so easy to get started with creating your bots and having them run on Azure. When considering an Azure SQL instance, one of the decisions you need to make is the pricing level (Basic, Standard or Premium) and then for the selected level the number of DTU’s you need. Now you might be asking, "which service tier and performance level should I use and how many database throughput units (DTUs) am I using now?" First lets look at explaining what a DTU is and then we can look at how the DTU Calculator will help. What are Database Transaction Units (DTUs)? How can I determine the number of DTUs needed by my workload? If you are looking to migrate an existing on-premises or SQL Server virtual machine workload to Azure SQL Database, you can use the DTU Calculator to approximate the number of DTUs needed. Following the instructions for the DTU Calculator, download either the Command Line Utility or PowerShell Script and run it to measure your server resource utilization. You want to get an hour worth of data. Once the script completes, go to the DTU Calculator website and enter in the number of cores for your server and then upload the CSV file that was generated. Then click on the “calculate” button as show below. After the DTU Calculator measures your server resource utilization, it will provide you the best recommendation for the number of DTU’s you should be using in Azure SQL. 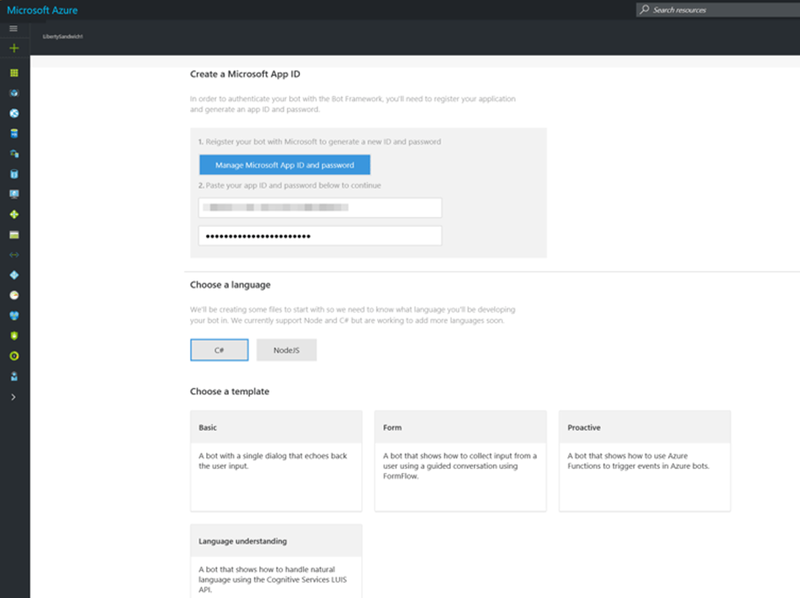 Came across an excellent blog post from @TroyHunt on using Azure Functions to track abusive IP addresses to a website and log them to an Azure storage account and then have another Azure Function on a timer to validate those IP addresses and block them if necessary. This week saw the announcement of the public preview of Azure Monitor. 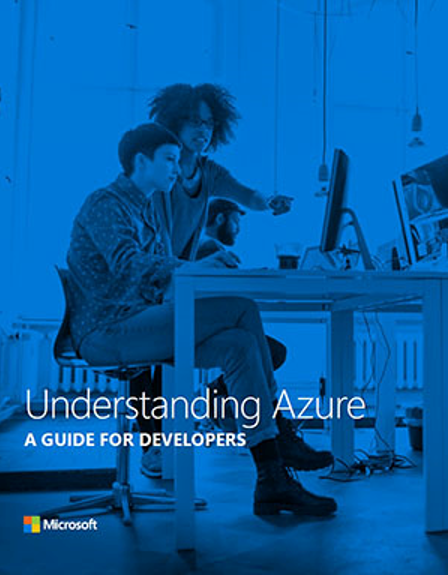 Azure Monitor allows you to manage and explore all common tasks from a single view. Azure Monitor provides the following types of data – Activity Log, Metrics and Diagnostics Logs. You can access the Azure Portal by clicking on the Monitor tab in the Azure Portal.